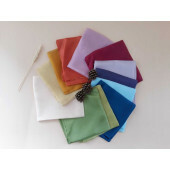 Plant dyed organic woolen hobby materials	There are 30 products. 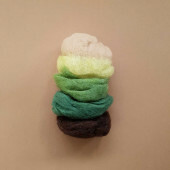 A bag of 25 gr organic plant dyed wool in green and brown shades. 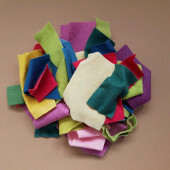 A bag of 80 gram full of woolfelt. Little 'left over' pieces. Every bag in unique! 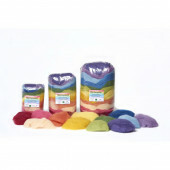 The woolfelt is plant dyed and organic. 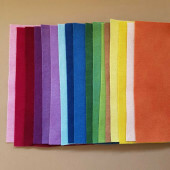 A piece of woolfelt, 20*30cm, made of organic wool and plat dyed. 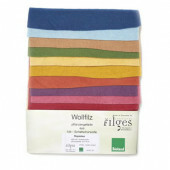 Due to the manual labour, the woolfelt can be slightly melange coloured. 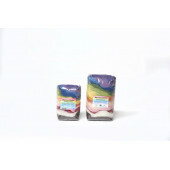 From left to right:pink, dark raspberry, bordeaux dark purple soft purple soft purple soft blue, dark blue, medium blue, dark green, medium green, soft green soft brown soft yellow dark yellow skin colour and rust. 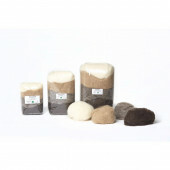 A set of naturel plant dyed organic wool to make a shepherd with his sheep mobile. Instructions are in German but the images are quite clear. 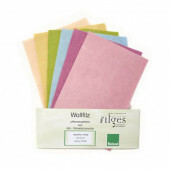 Filges set of 10 organic plant dyed pieces of woolfelt. 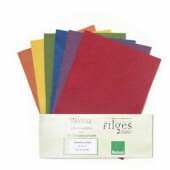 A set of 10 pieces plant dyed organic woolfelt with a measurement of 20*30cm.